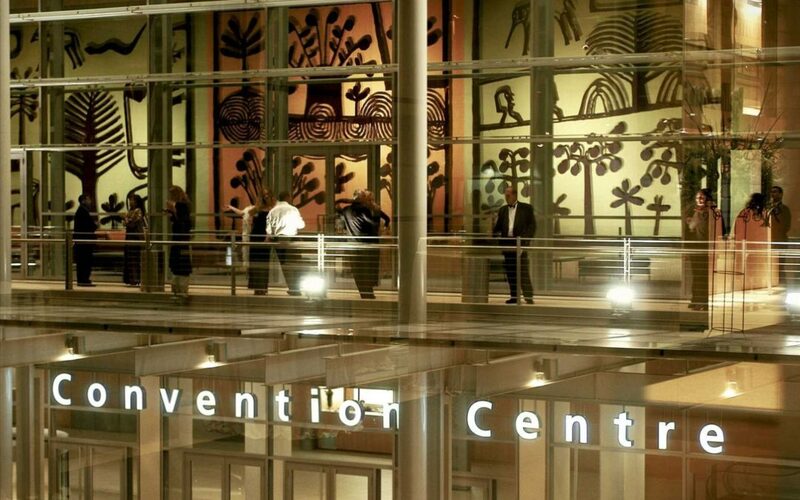 The CTICC has always placed importance on environmental sustainability whether it be decreasing its carbon footprint as a business or assisting its clients to green their events. Now the centre has taken it a step further by promoting environmentally sustainability outside of its physical business. This commitment to the environment has earned the CTICC top honours after winning the Medium Stand Award category in the Event Greening Forum Awards at Meetings Africa 2019 held recently in Johannesburg. Meetings Africa is a showcase of the best African services, products and venues and a meeting point for event industry professionals. The awards recognised stands and companies who excel in their commitment to “going green” and environmental sustainability. As part of the CTICC’s award submission, the centre paid careful attention to the type of stand it commissioned as well as the materials used to build the stand, the construction of the stand, and the transportation used to transport materials to reduce its carbon footprint. “We looked at how we could take lessons learnt and years of knowledge to effect change outside of the business to reduce our environmental impact when we travel to national and international trade shows. At Meetings Africa 2019, we looked closely at how we could reuse, recycle and upcycle the materials used at our stand. This paid off and we are honoured to have won this award,” said Julie-May Ellingson, Chief Executive Officer of the CTICC. In the 2017/18 financial year, the CTICC recycled 84% of its waste, which means that 84% of waste was diverted from landfill. “We have made great strides in environmental sustainability. The CTICC continually improves its energy and water efficiency, as well as providing adequate services for safe disposal and, where possible, the recycling of our waste. Our commitment to increasing our environmental sustainability efforts is evident in the way we do business, in and out of our physical facility, and it is humbling to receive recognition for these efforts” added Ellingson.